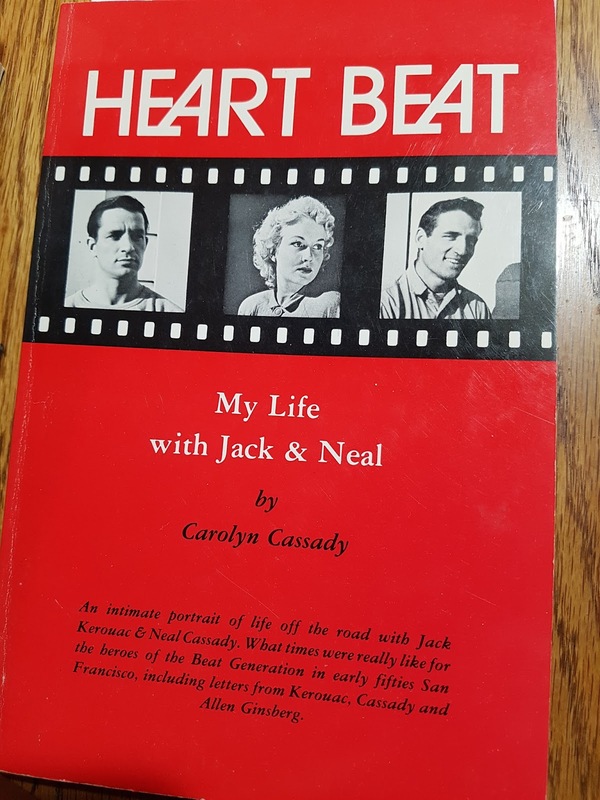 A novel about Beat Legends Jack Kerouac and Neal Cassady, told by Neal's wife Carolyn Cassady. The time period is the early to mid 1950s. My Life with Jack and Neal, as the subtitle indicates, is written from the point of view of the wife of one of the most loved and discussed of the Beat legends, Neal Cassady. One woman, and two men who are best friends, the "triangle" that never seems to work very well. When Neal settles into family life with Carolyn, he invites Jack to come and stay with them. Jack is on the healing end of a marriage split, and appreciates the offer and the company. He thinks he can hire on to the railway, and yearns to see different places. Jack arrives and is given his own room to encourage him to write. He thrives on the family atmosphere, but Neal gradually becomes less keen on the sharing, especially when it affects his marriage. As the tension builds, Jack gets the signal that his welcome is wearing thin. It's time to hit the road again. Jack describes the San Francisco he sees in the mid to late 1950s, and the trains where he tries to make a few dollars to help pay his way. Jack may covet what Neal has, it's hard to say. Neal may covet Jack's freedom to roam. But the idyllic setup comes to an end. What one imagines as ideal doesn't always seem that way in reality. Sad but true. This is a small book, a novella, and easy to read. If you're a fan of the Beat Literary writers, then you might like reading this one, as I did. There are letters in the book which were written between Ginsberg, Kerouac and others. It's a resource for those learning about Jack and Neal. Recommended for fans of the Beats and for those wanting to learn more about the 1950s lifestyles of this generation. Do you like to read about the Beat literary writers and their books? Have you read any of the books by Jack Kerouac, Neal Cassady, William Burroughs, or Allan Ginsberg? Do you like any of the Beat writers? Please leave a comment to let me know you were here, and I'll reply. Thanks for stopping by! More reviews to come on two mystery books (compilations) by Agatha Christie. Contains several additional links to Jack Kerouac book review posts and information on the writer. I wonder JoJo if they republished it or if there are two books. What is the title of your book? This one we have in our library as my hubs and I are fans of Kerouac, and a few of the other writers of this group. We saw Ginsberg at a poetry reading here in Vancouver. I also read Ken Kesey's books but I had forgotten about Neal being there. Kesey's books were less pretentious yes, but I liked all of Jack's books except for a very few. I find Wm. Burroughs books a bit more difficult to digest. Thanks for stopping by JoJo. It is an interesting read, Hilary, but you've got to remember the morals of the time were a little loose. . . If the sharing started to involve his wife, I can understand why Neal wanted Jack out. You nailed it Alex. That kind of sharing never works out and probably caused a rift in the friendship between the two men. When I was a teenager in the 1950s, I loved the Beat writers and dreamed of living that kind of life. Now I'm not so sure how I would feel. I used to wonder about that too Inger. I enjoyed reading their books but the reality is that not everyone felt comfortable with the 'freestyle' way of living. Her account probably shows that writer's lives are never easy or simple. Very true, as with any creative career. To produce art, writing, or the performance arts takes a toll on the creator. I'm marking this TBR. I think her perspective will be quite interesting. It is interesting to read the female perspective on the Beat writers. It's a quick read too. I had never heard of the Beat Legends. Sounds like a fairly interesting book, though. The Beat writers were most active in the mid to late 1950s and early 1960s and their writing reflects that time era. This book provides an insight to the lifestyles of that group at a time when young people were restless. With the big beat scene we have around here (and the connections they both have to Denver), I am actually interested in reading this. I've read some Cassady and some Kerouac but didn't know Cassady's wife had written this. There are a few books written by those on the fringe of the Beats, but this story looks at the daily life aspect and at how Neal came to regret his generous offer of a 'writing place'. Interesting that Denver still has the Beat culture there. I like that. I've read On The Road and that's about it. I have an interest in that era--it was the early years of my childhood. Seems like it might be a pretty good read. It was interesting to read a female perspective. I think Kerouac yearned for a settled life but he also wanted to see the world. That creates a bit of conflict for him.